What keeps brains healthy and minds happy? 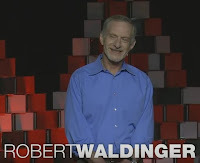 Watch Dr. Robert Waldinger, directing a 75-year-long study share 3 lessons he learned. See good science verify practical wisdom on healthy living.